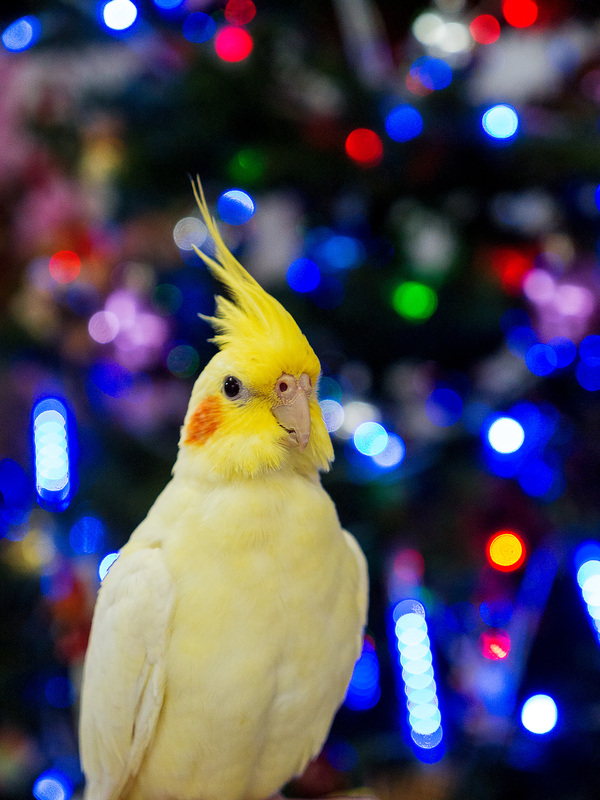 Cassie the Cockatiel Wishes Everyone a Merry 2015 Christmas and a Happy 2016 New Year! Time flies, and it’s another year for Cassie. Actually we don’t really know her actual date of birth, other than her arriving on 20th July 2014 with an estimated age of “seven weeks”. So we just take it as 6th of June, a pretty easy to remember date. Yes, I’m slightly late with this post. In an attempt to not have this blog filled with bird stuff all the time, I thought I would finally try out this tumblr thing (yes, I’m even later to that party). 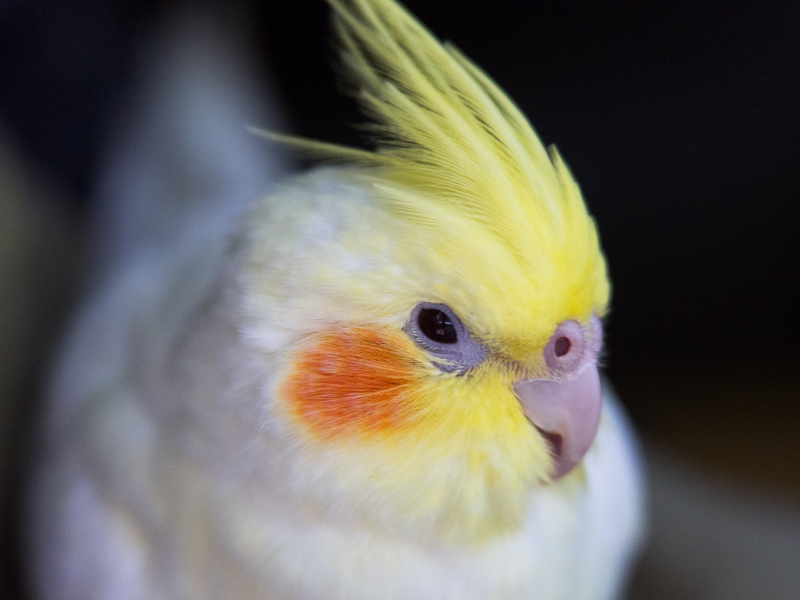 I’ll still post Cassie’s photos here every now and then, but most of it should be at http://cassiethecockatiel.tumblr.com. In the meantime, more photos! Yes, her crest feathers didn’t take long to grow back after that accident. For me, Star Wars has a very simple proposition, and that’s to entertain me. The much derided prequels didn’t quite do that, especially the dreadful Attack of the Clones. They were mostly dull despite having some over the top visual effects, an expanded universe to play around with, and a different story arc that involved Anakin Skywalkers fall to the Dark Side. 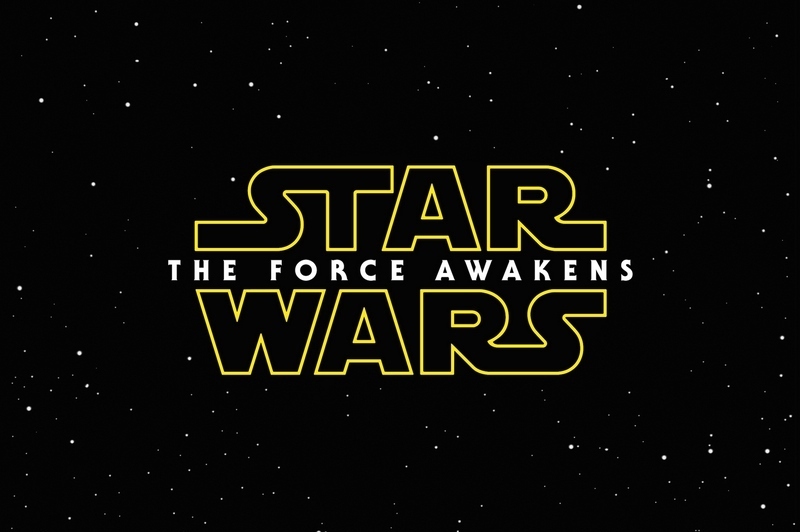 The Force Awakens fails me in the opposite way: Staying too close to the original trilogy, in particular, A New Hope. Good gods I hate this place. Maybe “hate” is too strong a word, but I certainly don’t love this place. While it’s not literally the worst place in the world to live, with so many candidates scrambling for that title, I can’t muster much love for it either. The last time I probably felt anything positive was as a kid during the 25th anniversary. How the passage of time shifts our perception! It all comes down to one thing: Our culture. Pardon for the slightly personal post, but it is a big day for someone dear to me. 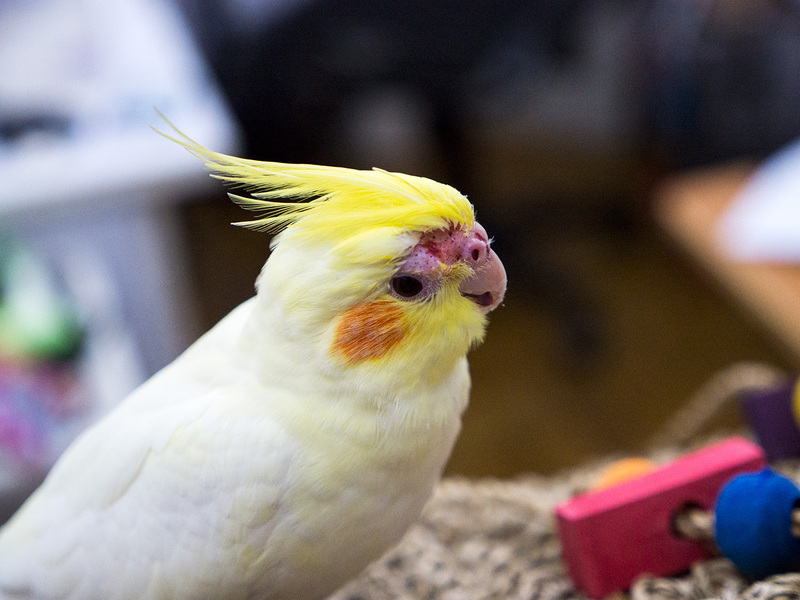 Time flies, and it’s just about Cassie’s first hatchday already! Well, look at that. Time certainly has a way of passing you by. Originally I started this as a way to just write about all kinds of thoughts and opinions as they entered my head and I deemed worthy enough to give form to, but somehow I sputtered even before I got going. It’s this fear, or as I read a few months ago on a friend’s blog, the Resistance, that ended up with me not doing any writing, or even other creative efforts, like making photographs and videos. In short, the Resistance (or Fear, as I like to call it), is that internal set of feelings that prevents you from getting anything done. It is a terrible thing, because after the Fear is done with making you decide on inaction, Regret comes shortly afterwards and tells you off for not doing it and never misses an opportunity to do so. Now, unlike my friend, Jason, who at one point had an entire series of popular consumer technology websites, I just run a small little camera blog that has just a tiny fraction of that level of popularity. Writing does not actually come easy for me; I suspect this post will eventually take an hour to complete. I would like to blame my time in university for writing reams and reams of reports for killing this interest, but I think it is down to these fears that really cripple me. I’m just some random guy on the Internet writing random things. There’s nothing I feel can add that’s interesting. I’m not a very good writer. Who wants to read badly written pieces? I can’t stand the process of transferring thoughts from brain to text – why is is so slow (this list has been percolating over an hour now)? Am I stupid? Fears for my more visual pursuits are similar, with my video work sputtering to zero. It’s more or less the same thing: What do I want to tell? I don’t have anything interesting. Video adds the wrinkle that I have less experience with, compared to photographer, and is far more labour intensive as well. Ultimately, I think, I simply have to do this; good and interesting writing simply doesn’t happen overnight, so I’m going to have to push through and just write. I really don’t want Regret to keep on speaking to me every night. It’s really not a nice feeling. If you’re reading this, apologies for some crappy pieces ahead. Hopefully it gets better! Hopefully anyway. 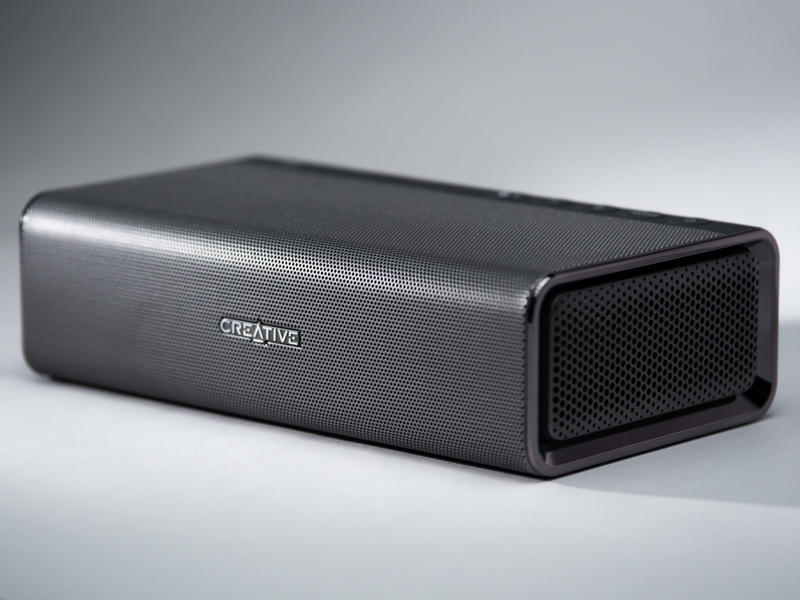 Creative of late have really been at it in trying to come back into the audio market big time, and one of their big products is the Sound Blaster Roar. It’s a portable Bluetooth speaker that claims to have incredible sound quality. I’ve put it through its paces and here’s what I think. 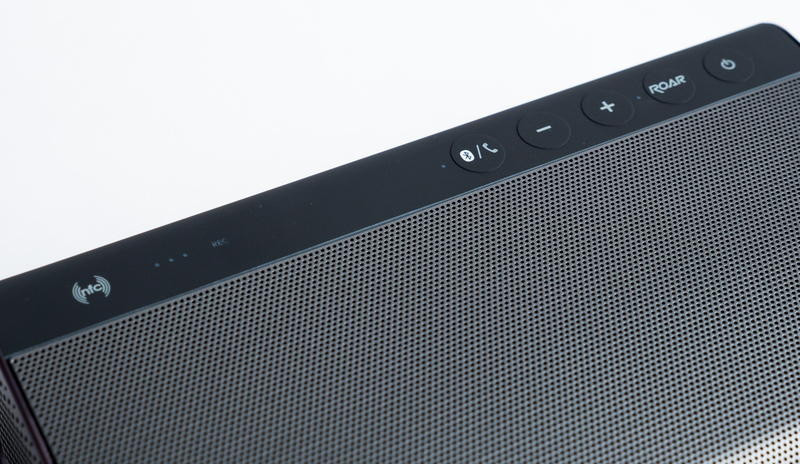 The first impression you get of the Roar is that it is a nice-looking portable speaker. The grey grilles and soft rubber rear make it look good without being overly loud. It’s different enough from the usual all-black speaker setups but isn’t as loud as those bright fluorescent coloured ones to be an eyesore. The main controls on the top of the unit, toward the rear, with the rest of the buttons as well as the ports for power and audio/data. In addition to being a portable speaker, the Roar can also be used as a handsfree speakerphone (there is a microphone built-in), a very primitive MP3 player with its Micro SD card slot, a voice recording, and finally, an… alarm. That is right, you can use the Roar as a personal alarm to sound out the immediate area to prevent an attack. Oh and it also can act as a charger for your smartphone or tablet too. Main controls of the Roar, showing the volume controls, the Roar function button, the power button, the multifuction button, and the NFC contact point. Picking up the Roar elicits the second impression of it: This is not a light device, despite the size! In fact Creative rates this at 1.1kg, a weight which my digital scale confirmed with to a few grams. That is as heavy as some small notebooks! Together with the relatively small footprint, it makes the Roar feel really dense. At least it does feel solid. Part of the reason is the number of components squeezed into the device’s small body: There are three speakers, a large 6,000 mAh battery which I will assume is at 3.7v to give a total Wh rating of 22.2, two passive radiators at the side to boost the bass, and copper heatsinks to dissipate the heat from the amplifiers powering the speakers. It’s pretty impressive how Creative managed to pack all this in. The only downside is something that may not affect you: My review unit came with what seems to be a faulty charging circuit. The battery would not charge properly so after a while the Roar stopped working. This is another example that shows how fallible modern technology is: Keep your warranty cards, people! Using the speaker was easy enough. There is NFC to pair with, which I did with my Galaxy Note 3 in a tap, and there are also Micro-USB and the standard 3.5mm audio jack. I actually managed to connect the Roar to my computer via Bluetooth while maintaining a high-quality bitrate, something I could not seem to do with the Sound Blaster Evo ZxR headset. Creative rates the battery life at eight hours and while I seemed to fall short of it, remember that said faulty charging circuit meant that I probably never got a full charge out of my Roar. The longest I got it to run was about six hours. The rear of the Roar is a busy place, as there are a multitude of ports and buttons, some of them devoted to the secondary features of the Roar. The speakerphone function works, but this is no Polycom set. I’d say it’s slightly better than most smartphones in voice-pickup, while the increased volume helps in trying to hear what the other party is saying. 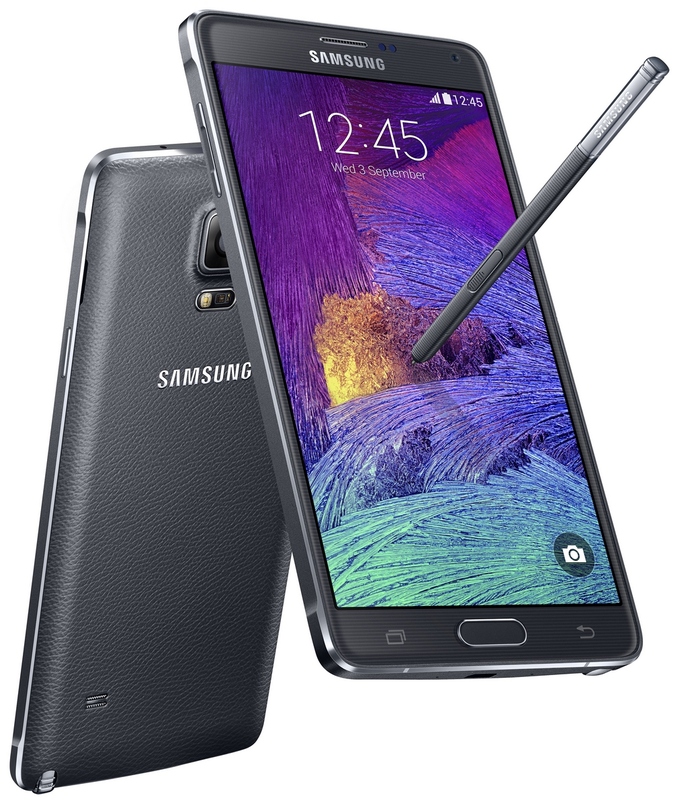 Not a bad addition, and it is handy if you’re playing music through your smartphone and a call comes in. The MP3 feature is really really simple. MP3s copied to the SD card are played either randomly or sequentially, and for the latter they are played back in the order of which they were written to the SD card. For most people, just use your smartphone or MP3 player. Another nice feature is the voice recorder, but again, with smartphones, it is less useful, especially since it is easier to bring up a 100-200g phone to your mouth than a 1.1kg speaker like the Roar. The alarm feature is… bizzare. I suppose it’s a great way to advertise that the Roar can be loud, but dedicated alarms are even louder while being much smaller and more portable. Consider it a cute oddity, I suppose. As for the portable battery charger, it works. Output is 1.0A at 5V. Not a bad thing if you absolutely need that last bit of juice and don’t have another portable charger or are all out. I actually took off my Beyerdynamic DT 990 Pros as the Roar replaced it for use at the deskstop during the Roar’s short stay with me. In addition to music I also used it for games and video as well. Despite the above-mentioned battery problems I managed to run some 15-20 hours with it. The first thing that struck me was how directional the Roar was. Users of satellite speaker systems (those small cube things that are the staple of many x.1 computer sound systems) will find that familiar. Basically if the speakers are not aimed directly towards your ears, there will be a big drop in sound quality. Well, the Roar is extremely so. Many satellite systems are fine if they are slightly off-axis to your ears; the Roar is not. My initial experience with the Roar, sitting in front of my keyboard, with the front speakers aimed at my chest, was somewhat underwhelming. The output felt lacking in body other than the bass, since low frequencies are less directional. I then solved the issue by propping the Roar up on a thick camera battery, and then carefully aligned it. When I did that, the Roar’s nature changed completely. It sounded truly proper now. I just needed to remember to re-adjust the angle when I slouched. The Roar easily got to a respectable volume with room to go even louder if it was needed, and the sound quality was great, considering its size. Most of the frequency range was clear, with the mid-bass somewhat emphasised. There was definitely a point where it drops off as the relatively small driver cannot quite reproduce the very low notes. In general the bass output went well with most pop and dance music, but certain pieces like jazz music might have you wondering who tuned the cello up a notch. The mid-tones were well-reproduced in general, with voices taking a sparkling clarity. This tuning however affects the higher frequencies, as the treble seemed a little harsh. The Roar also did have pretty clear definition of individual sounds in a fair number of situations, making it a fairly “fast” speaker compared to many portable (or even desktop) systems. In games and movies, the bass helps to make the explosions and many sound effects sound truly larger-than-life, though the small size of the Roar also means there is practically no stereo separation. The “Roar” mode I mentioned supposedly helps to expand it, but to me it just made the harsh treble even worse. I turned it off for most of the review. Overall, the Roar is just excellent. In fact, I tossed out the idea of comparing the Roar against the few portable speakers I have or could borrow; that would have been just a waste of time. Instead I just did a straight up comparison with my now-vintage Atlantic Technology Pattern: One of the very first satellite speaker systems out there, and a subwoofer bigger than many stools out there. Seriously, I can prop my feet up on it if I want to. While the Pattern ultimately proved to be superior (it simply had the better soundstage, smoother treble and more balanced bass), remember this is still a much larger desktop bound sound system that cost quite a bit during its time. To make me decide to even pit the Roar’s tiny little self against something a few levels up in the audio world shows how good the Roar is. Now I know why I like the Roar’s design. It reminds me of the Lian Li PC-V1020, which is something I like but never bought. So, is this a must-buy? The answer to me is fairly simple: If you are looking for a portable Bluetooth speaker and are willing to lug around a 1.1kg speaker, then the answer is an absolute yes. In fact, if you fancy making your products do double duty, you can buy two Roars and the special connector cable and use them as a desktop speaker system! Just remember about the directional issues I mentioned early. Creative has been aggressively promoting the Roar, and in Singapore the lowest price I have seen is S$179 at our local IT fairs. At that price it is hard to dislike it. Highly recommended. Just remember to make sure you have a warranty.